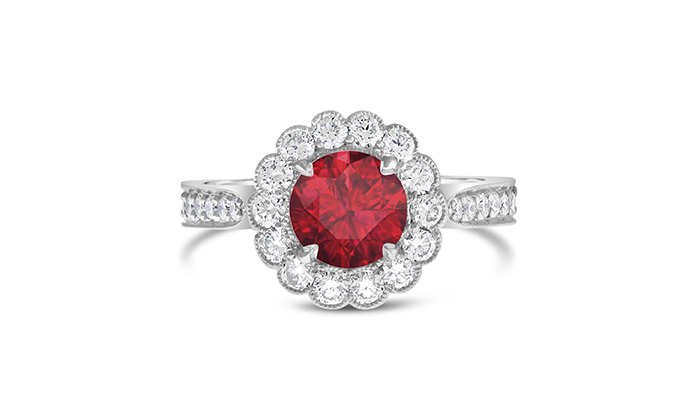 Can rubies be used in engagement rings? Yes. 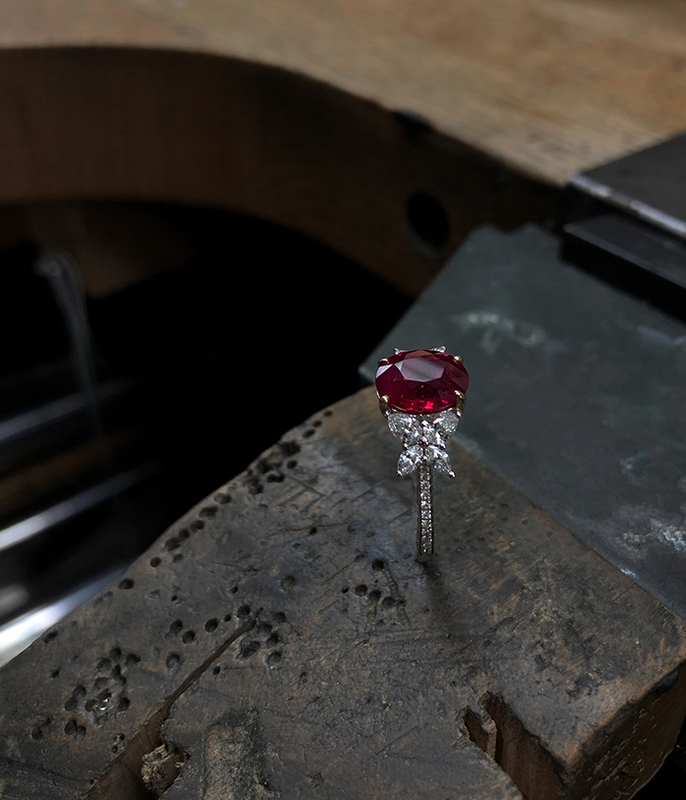 With their intense hue and rich history, rubies have always been a highly coveted gemstone. 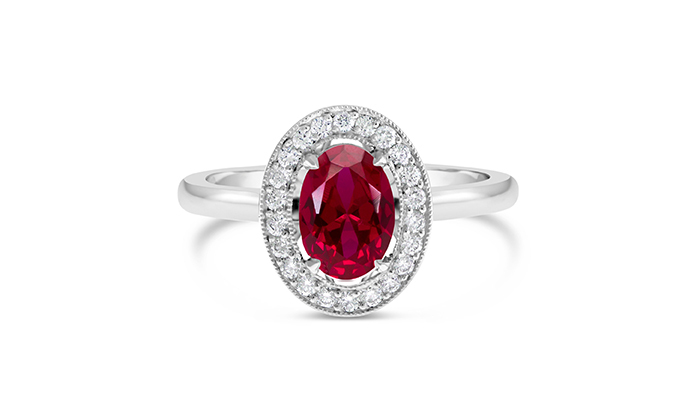 Therefore, for those wanting to make a bold statement, a ruby engagement ring is an eye-catching choice. Rubies were one of the precious stones signifying the 12 tribes of Israel mentioned in the Bible (where they are called sardius). They have long been worn by royalty. 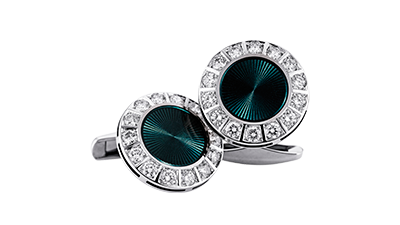 For instance, they have been included in British coronation rings since the 13th century. 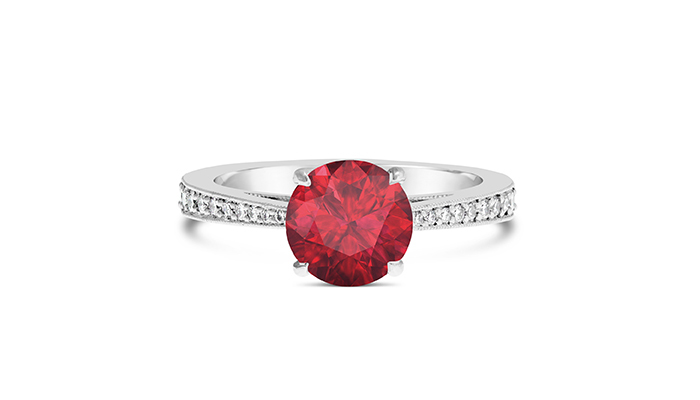 While ruby is usually thought of as being intensely red, their hue can vary from a bright orangey red to a more muted purple tone. Rubies are a type of corundum. Corundum is a mineral that is colourless in its pure form and which turns red when chromium is introduced. 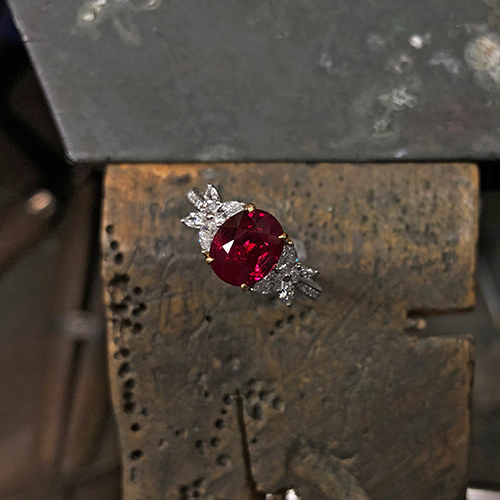 The conditions needed to create a ruby are extremely rare. As a result, they are the world’s most expensive per-carat coloured gemstone. Corundum is surpassed only by diamond in terms of hardness. A rating of 9.0 on the Mohs scale of mineral hardness, makes a ruby engagement ring not only beautiful but also hard wearing and practical. For many centuries the majority of rubies came from Burma (now Myanmar). They are also mined in Thailand, Cambodia as well as countries including Australia, Namibia and Scotland. Burmese rubies are considered to be the finest examples of these gems. They are known for their intense “pigeon’s blood” red colour, regularly commanding the highest prices. 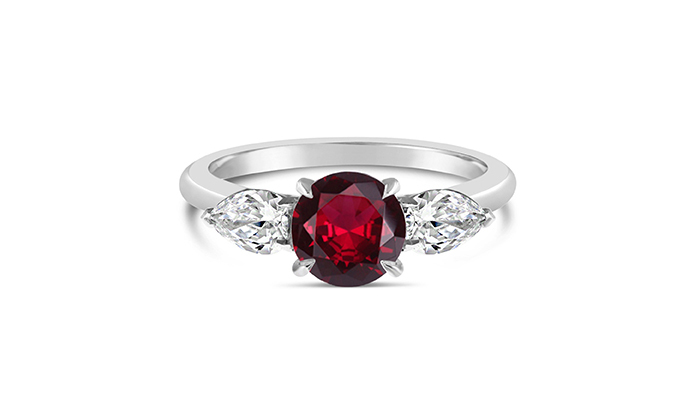 However, supply is limited, which keeps the price and value of rubies consistently high. 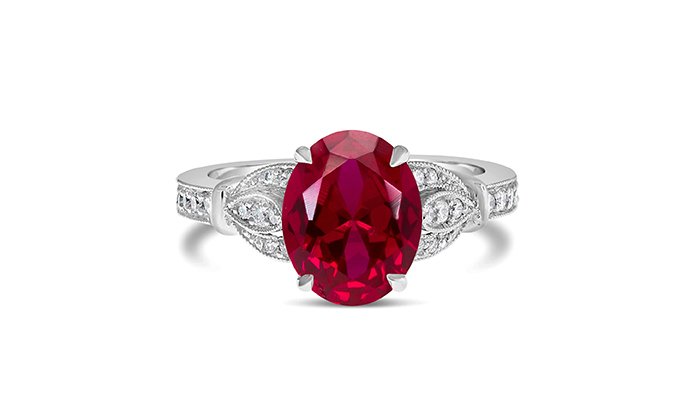 Ruby engagement rings have proven popular with celebrities with a strong sense of style. The singer turned fashion designer Jessica Simpson received a 5.00ct ruby engagement ring, set with pear-shaped diamonds, from her husband Eric Johnson. Eric chose the gem as it’s Jessica’s birthstone. Jessica’s younger sister Ashley also selected a ruby engagement ring. 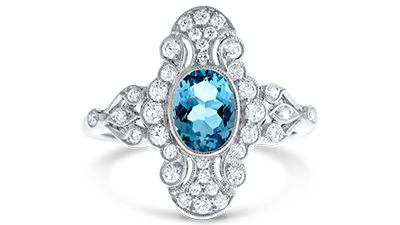 Her stunning Art Deco-inspired ring features a marquise cut diamond surrounded by rubies and smaller diamonds. A large round ruby is at the centre of actress Eva Longoria’s engagement ring. 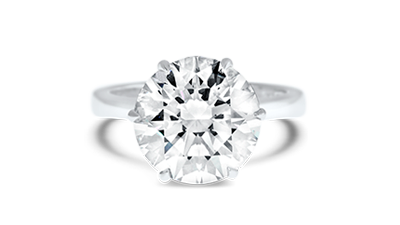 The stunning stone is in a platinum halo setting, surrounded by diamonds.